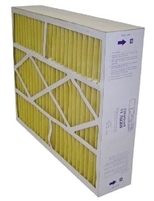 We carry a full line of Goodman filters for your furnace, air conditioner and air cleaner. Goodman also makes filters for other major brands, including Totaline and Five Seasons. 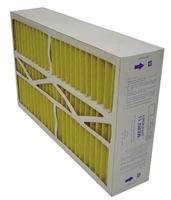 Goodman offers a variety of high-quality AC filters to provide optimal filtration at low costs. These filters are designed to help remove dust and other air particles known to cause sinus and lung irritation. In addition, a quality furnace or air filter will ensure that your cooling, heating or cleaning system will operate at peak performance for years to come. Shop for OEM Goodman furnace filters, AC filters and cleaning filters today for fast and affordable shipping on all orders.